In the financial area, the legislative frameworks for bank supervision and for combating money laundering were strengthened, and there was some limited deregulation of the foreign exchange system. There has also been a marked change in the attitude to foreign loans in Russia since the devastating banking crisis of August 1998, when the Russian government was compelled to declare a default on its debts. What changed most obviously as a result of the crisis was the degree of responsibility of politicians and policymakers in framing and implementing economic policies and, in particular, fiscal policy. The specter of seemingly unmanageable external debt helped forge the political consensus in favor of budgetary prudence that has been maintained under President Putin. Fiscal restraint in the face of burgeoning oil revenues allowed the government to quickly rebuild international reserves, which are viewed not only as a comfortable cushion against temporary adverse developments, but also as sufficient to provide policymakers with room for maneuver in the face of more permanent shocks. 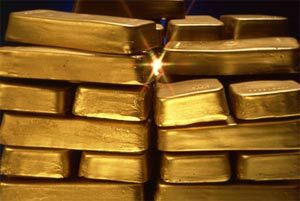 In 2000 the Central Bank’s gold and currency reserves stood at $11 billion, in 2002 they increased to $50 billion, and by the end of 2003 they totalled $72 billion. Similarly, Russia’s external debt - at about 40 percent of gross domestic product - is no longer regarded as a prime source of vulnerability. As of December 2003 Russia’s foreign debt stood at $115 billion. The foreign debt/GDP ratio is steadily going down as a result of Russia’s recent economic rebound, as well as regular debt repayments. Russia repaid $14.5 billion in 2001 and $14.2 billion in 2002. It successfully met a spike in debt service in 2003, repaying $17 billion. Russia’s debt-servicing obligations have also been lightened somewhat by rescheduling agreements that have resulted in a favorable maturity structure that stretches through 2030.